Alumni Association and part of the Saint Andrew's community. Please keep us updated with your contact information. Saturday afternoon is open to activities organized by each class. Express appreciation for your Saint Andrew’s education and ensure the same tradition of excellence for future Scots! 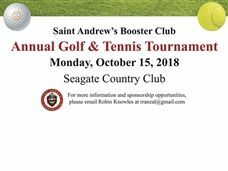 No matter your level of participation, be secure in the knowledge that your sponsorship will be used to help support Saint Andrew’s School and the continued development of our alumni programs. Welcome to Saint Andrew's School campus store. Show your school Pride with some SCOT products. You will find all your great Saint Andrew's swag and gear here. 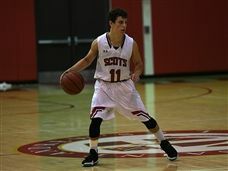 Go Scots! Reunion Weekend is Saint Andrew's School premier alumni weekend. Alumni are invited back every 5 years to tour the campus, enjoy the homecoming football game and a Saturday night reunion dinner. This annual favorite is held the day before Thanksgiving at the Headmaster’s home, The Saint Andrew’s House. The last four graduating classes and the current senior class are invited to reconnect with classmates, faculty, and staff. The Alumni Relations Office host several regional receptions throughout the U.S. Past cities include New York City, Boston, San Francisco, and Charlotte. Keep your information current to receive all invitations. The Stunkel Family Athletic Hall of Fame was established in 2003 to permanently recognize and honor coaches, administrators, student-athletes, athletic teams, and friends of the athletic program who have made a significant impact on Saint Andrew’s athletic program. The next induction class will in October 2019. Alumni have the opportunity to hold their special day at the beautiful Chapel of Saint Andrew, on our picturesque campus. It offers several locations, each with their own unique features, in which to hold your wedding. Take a look! The Stunkel Family Athletic Hall of Fame was established in 2002 to permanently recognize and honor coaches, administrators, student-athletes, athletic teams, and friends of the athletic program who have made a significant impact on Saint Andrew’s athletic program. The next induction class will in October 2019. Learn More. 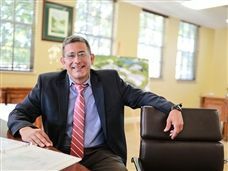 There are many ways in which alumni can stay connected to Saint Andrew’s School by contributing their time and talent to support the school’s mission. Whether you have a lot of time or not very much, there are roles available that will fit your schedule and desired level of engagement. Please contact the Alumni Relations Office at alumni@saintandrews.net or 561.210.2070 for more information. Opportunities to get involved are: Saint Andrew’s Alumni Association The Alumni Association help raises funds for the Annual Fund and hosts alumni gatherings locally and throughout the United States. 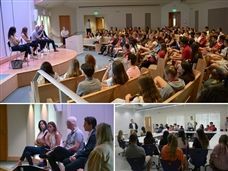 Saint Andrew's Connect is bringing the SA student and alumni community closer together. Support your alma mater by lending your time and experience to programs that provide guidance to current students and young alumni. Do you have an internship program at your business or organization? You might just find your next great hire, new job, and more. Alumni can utilize Saint Andrew's Connect in a number of different ways. Saint Andrew’s School welcomes alumni back to campus. In order to make the most of your visit and maintain the safety of our students, we ask that you respect and cooperate with the following essential campus safety practices. Based on your interests, your tour of campus can be customized to include teacher/classroom visits, lunch, and information on Alumni Association services. Contact the Office of Alumni Relations to schedule your visit. Tours are typically scheduled during school hours. Alumni family members / guests are always welcome. We thank you in advance for adhering to our safety procedures, and we look forward to your visit. All basketball courts and fields are closed unless you receive proper permission from the Auxiliary Department - 561.210.2100. Closed unless scheduled through Athletics Department. Contact Kate Prescott for pick-up game schedule or reserve time. Contact Kate Prescott in the Athletics Department. Contact Sid Cassidy for swim club information. Saint Andrew’s School reserves the right to request alumni to leave the premises, to stay out of areas designated for students, or campus personnel only, and to revoke campus access privileges at any time. Saint Andrew’s Alumni are eligible to obtain a "Facility Use Pass" that allows access to Saint Andrew’s School athletics facilities during designated hours when those facilities are not in use for team practices, club sports, and other events. To obtain the rights to use athletic facilities you must obtain a Saint Andrew’s Alumni ID. Alumni IDs are issued on campus. Saint Andrew’s Alumni ID’s are valid for one year: starting from the first day of each school year. Photo ID’s and waivers must be renewed on an annual basis. Please check-in with Security Officer at the Welcome Center campus entrance each time you arrive on campus.